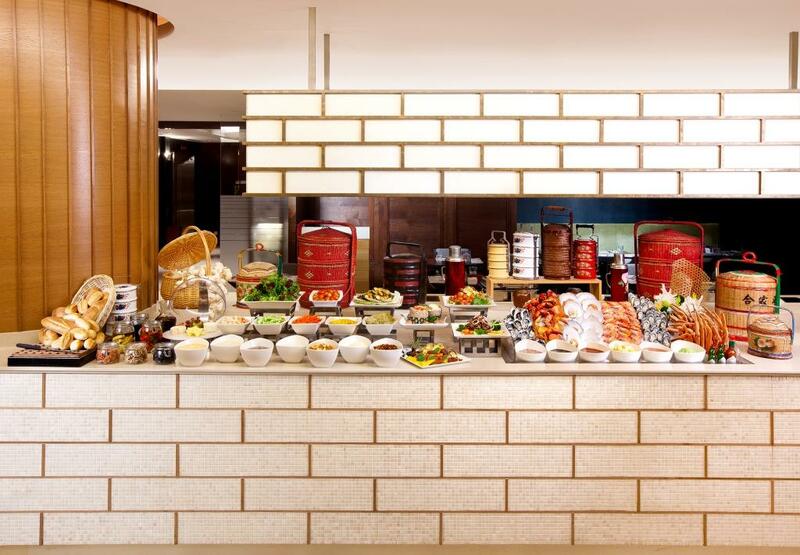 Where to eat buffet in Singapore? 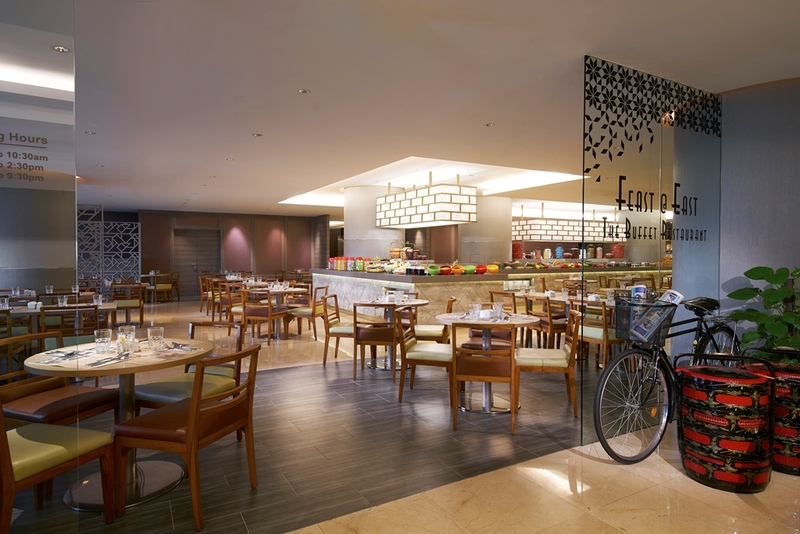 Come celebrate Singapore’s classic days at [email protected] Buffet Restaurant where a Heritage Feast awaits those who cross the threshold of our famous Peranakan Hotel Buffet, located on the third level of Hotel Grand Mercure Singapore Roxy! Every day is a different day at [email protected] Buffet Restaurant as the menu constantly varies to ensure guests will always be pampered with a delicious buffet selection. 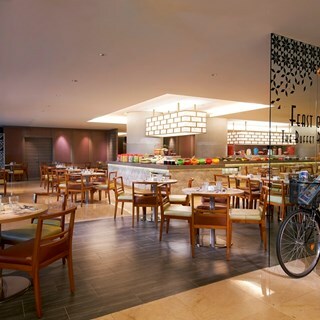 All-time favourites such as the restaurant's signature Singapore Laksa and famous Durian Paste are available every day, lunch and dinner. Merdeka Generation/Pioneer Citizen : Flash card to enjoy the prices. Not valid with other promotions, discounts and vouchers. The service staff was great did not manage to get her name but was given a bowl for hand wash even without asking this is top class. Need to have more variety. I remember I visited the restaurant few years back, it serve good seafood and wide spread of good Perankan food. Awesome food quality and friendly yet very efficient staff. Crab meat is soft and not firm. Small crabs. Possible to change coffee to filtered rather than machines? I paid $40/- for senior citizen  because the government has not issued the  Merdeka card. Hope you staff can accept by the age, date of birth from the NRIC. My family loved the food selection, there was plenty for both young and old. The spread is not lavish but is nevertheless satisfying. With the 1 for 1 deal on Mondays, it is really impossible to beat. Buffet spread is average but the laksa, salmon sashimi, lamb chop and majority of the dessert are good. Staff is friendly and service  is good. This place is spacious and elderly friendly. Price is reasonable especially with discounts for pioneer and senior citizens. Will visit again. The food selection was excellent! There was a gentleman, Christopher that served us that evening, and his service made that evening very pleasant! However, the cold crab is not very fresh, as the flesh tastes soft rather than firm. Food is good. Staff cleared the plate very quickly that leaves table neat to continue dinning. Service below par. Staff didn’t smile. Food is good for adults but don’t bring kids as 95 percent of the food is spicey. My kid has bread and cheese and apricots. Went for the 1-for-1 deal. Worth the money, selection and variety is good! We definitely get what we pay for. The place is too noisy to fellowship with friends.